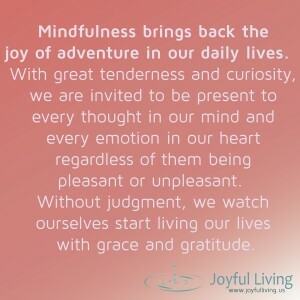 ← Parenting & Mindfulness – and an opportunity for you! The gift of dogs…and poetry! A few weeks ago, I concluded leading my second 8-week course on Mindfulness Based Stress Reduction. It was an amazing time, and I was honored to spend 8 Tuesday nights with this incredible group of doctors, therapists, mothers, fathers, educators, and more. I was breath taken at moments by the levels of discovery and vulnerability they were willing to dive into. Also in the planning of this course, I intentionally tried to create and craft a safe place – a peaceful place – a place where people could meditate, reflect, and support themselves and each others. I imagined a beautiful setting of silence, ease, and spaciousness. One of the major components of the Mindfulness Based Stress Reduction course is a day long SILENT retreat. I’ve been a participant at numerous silent retreats, so I was eager to host my own. I had it all planned out, the space was wonderful, lunch was going to be nourishing and easily provided. Everyone gathered, and the day began. As it turns out, the facility we were using also hosted dog training classes on this particular Saturday. So, while I was trying to guide the students through meditation, and inviting them to take meditative walks, there was a constant background of dogs, and trainers. My brain went crazy! (How interesting, right?) How dare they not tell me this was planned? Why are the trainers so loud? These dogs are barking constantly! Oh no…now all of my class is going to get NOTHING from this. This is ruining MY silent retreat! 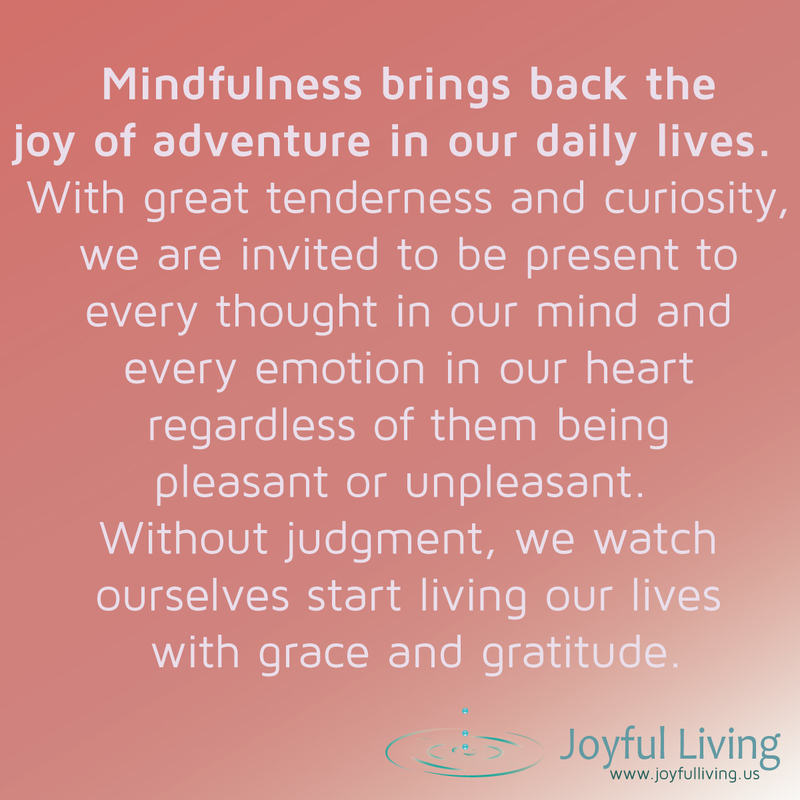 I checked in with myself, and in one of the most challenging of situations – began to employ the methods of mindfulness that I teach. I took breaths, was compassionate with myself, and then in turn was compassionate with others. It wasn’t easy, but by the end of the day I could look back and be entertained by the situation as opposed to so deeply triggered. And what’s even more valuable, is that the students talked about how the day was truly transformative. Some students could completely turn the dogs off, while others invited the dogs into their consciousness. Despite the external situation, each of the students got massive growth and learning out of the silent retreat. That is massively mindful. Below I am offering a poem that I recently shared with my Fall class. I hope it serves you.